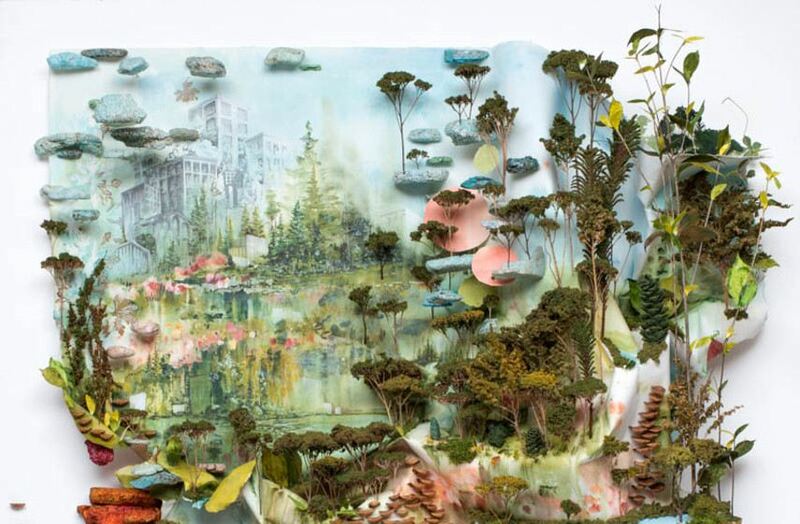 Gregory Euclide makes landscape art using various kind of material. Pinecones, melted snow, paper and paint are just some of the pieces he takes to assemble the impressive collages/installations that show how transformational the natural force is. 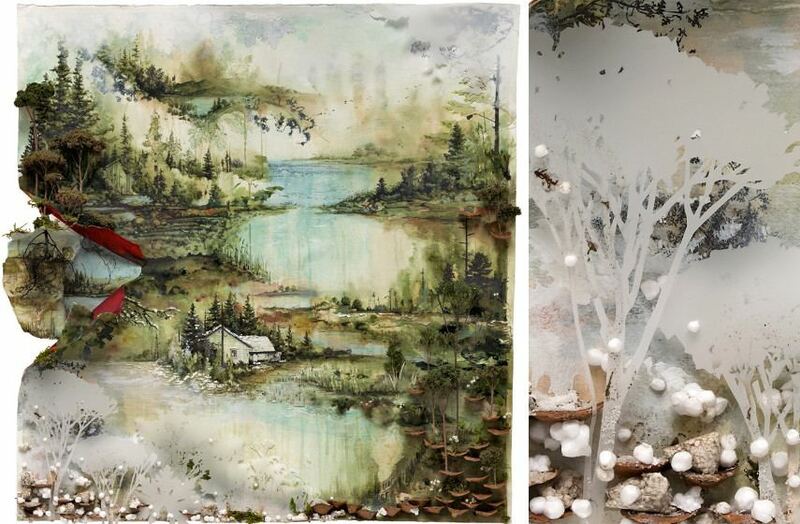 This Minnesotian artist custom made the album cover for the singer-songwriter Bon Iver and complemented the musician’s vision in a gorgeous organic style. The album cover is made of styrofoam and cut open to show the original composition. The idea is to make the origin material visible, to get to the depth of the structure. When making art, Euclide incorporates the traditional idea of the landscape aesthetics with the raw and untreated material, so sometimes there are even pieces of garbage in his works – the same scenery one could find in someone’s backyard. The artist holds an MA degree from the Minneapolis College of Art and Design, Minnesota (2008), and a BA in studio art from the University of Wisconsin-Oshkosh, Wisconsin (1997). He is also a holder of secondary art education degree. Growing up and living in Wisconsin influenced his artistic aspirations since the early age. Almost all of his art lacks human form but contains many man-made products. When people admire intact landscapes they find peace and contentment in the fact that there are no human interactions, but what they forget is the actuality that man leaves his mark everywhere. The solitude brings tranquillity but what we perceive in the physical world is always just one part of the mutual relation in which man coexist with nature. Without trying too hard, or trying at all, he manages to avoid any attempt at defining his art. The theme is life and the transformation of it, and everything that comes with it. Birth and death as the natural cycles of life are the starting and ending points in Euclide’s creations. Between them comes all the mystery of conception, creation and living. Decay and rotten organic elements are being mixed with painted scenes on paper and then they are ripped apart. The three-dimensional moment gives the viewer a chance to peek into the artist’s vision and to experience the landscape in more reliable form. Euclide’s holistic approach unites the representation of the idea behind art, with the original scenery, the idea came from. If there are trees in the picture, he will use the pinecones from that place, if the theme is transformation, he will use melted snow instead of water. This originality transfers the sentiment and the contemplation to the viewer and it is impossible to stay indifferent when facing such a creation. When he teaches students he tends to show them how originality is not subdued in trying to be different than everyone else. Originality comes from being true and honest, being yourself. That philosophy deeply reflects his art. Not very fond of reproductions, he puts his heart and soul into everything he makes. He used tools he could find in the classroom and with black markers, ink and board erasers he made illustrations during the lunch breaks. By doing this, he wanted, not just to relax, but to show his students firsthand that time is nothing but the measure we invented and that original expression has no limits. After completing the work, Euclide erased the board, but took some photographs previously and that is how his 2012 series Laid Down & Wiped Away was made. The moral of the story is to appreciate the original, the spur of the moment, the limited time we all have in this world, and to squeeze in some inventiveness here and there. Euclide’s landscapes are always about something else than just nature. In the tradition of painting landscapes, there is sometimes the intent to appeal to popular taste, but for this artist the intent is to make the audience taste the nature, experience it firsthand. Moss, rocks, paint, paper, wood, fern, and acrylics are just some of the material he uses to make his earthly and fresh, but also decayed Otherwordly installations. His miniature urban landscapes raise awareness of how human interaction affects the outer world. It is important to feel like a teleological integral part of nature and never to underestimate how significant is to give back to it and stay away from pollution and destruction. 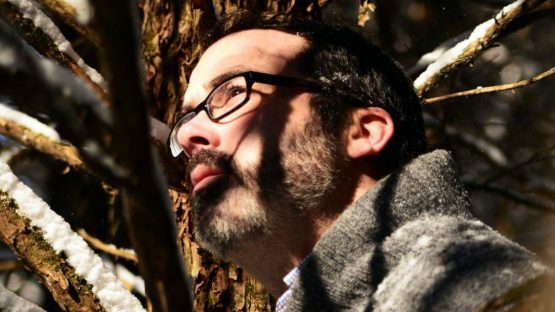 When he is not teaching in high school, or working in his studio, this artist spends every available moment outdoors, in the woods, in the snow, soaking in the sunshine, listening to music and embracing the freedom of country living. The artist is represented by Spoke Art Gallery. Gregory Euclide lives and works in Minneapolis area, Minnesota.